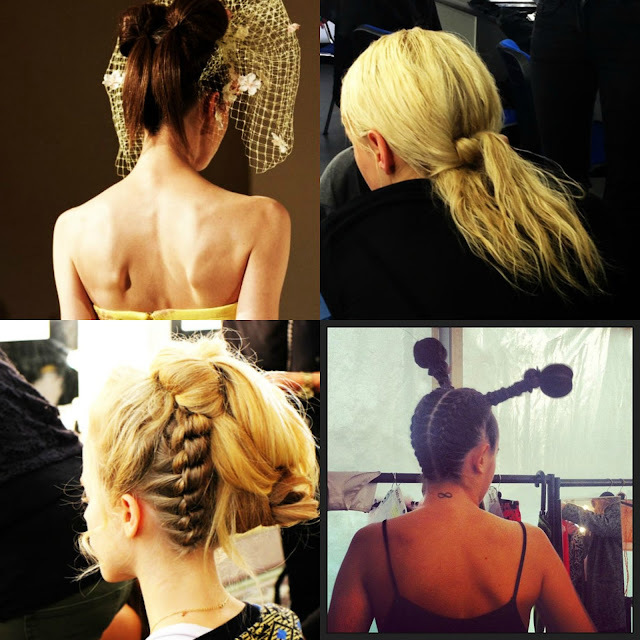 As another season closes and London waves farewell to Fashion Week, I thought I'd share some of my favourite hair styles seen on the catwalk. 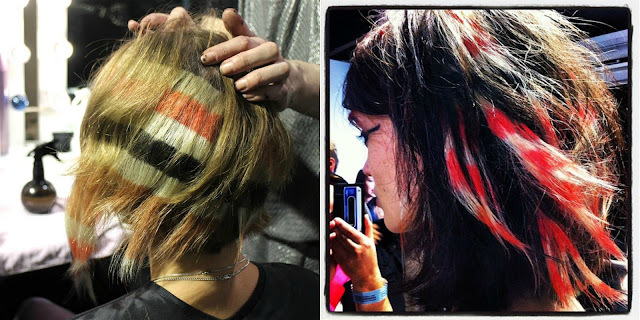 From sleek structure, to crazy colour it's been a fantastic showcase of just how talented the hair teams backstage are. Creative vision and flair all helped make London Fashion Week SS14 an absolute dream for a self-confessed hair geek like me. First up, L'Oreal Professional for Ashish. This had my Instagram and Twitter feed really excited. L'Oreal decided to unveil their new Hair Chalk at the Ashish and Felder Felder shows, and the precision wash out chalk went down a storm. Released November 2014, I'm so excited to try these out. I love how the team kept the models hair natural with texture, adding coloured wefts underneath as close to the roots as possible to blend. The flashes of colour looked amazing, and this was definitely one of my favourite looks of the week. Next, Toni & Guy for Giles, and one of my favourite stylists Indira Schauwecker along with Sacha Mascolo-Tarbuck created amazing knotted braids. I love the thick texture of the braids. I'm predicting this will be a huge style to copy, and we may see a move from the much loved fishtail to this knotted Braveheart inspired beauty. May have to be slightly adapted as apparently you need two people to create!